Delta E – Indy Imaging Inc.
You don’t have to spend too long in the color management world before you come across the term Delta-E. As with many things color, it seems simple to understand at first, yet the closer you look, the more elusive it gets. Delta-E (dE) is a single number that represents the “distance” between two colors. The idea is that a dE of 1.0 is the smallest color difference the human eye can see. So any dE less than 1.0 is imperceptible (as in turn the lights off and head to the pub) and it stands to reason that any dE greater than 1.0 is noticeable (as in, put the coffee on, we’re going to be here a while). Unfortunately – and probably not surprisingly – it’s not that simple. Some color differences greater than 1 are perfectly acceptable, maybe even unnoticeable. Also, the same dE color difference between two yellows and two blues may not look like the same difference to the eye and there are other places where it can fall down. So, a bit of history is probably in order. The L*a*b* colorspace was devised in 1976 (let’s just call it Lab for short) and, at the same time delta-E 1976 (dE76) came into being. If you can imagine attaching a string to a color point in 3D Lab space, dE76 describes the sphere that is described by all the possible directions you could pull the string. If you hear people speak of just plain ‘delta-E’ they are probably referring to dE76. It is also known as dE-Lab and dE-ab (although the industry is not fond of dE-ab as it implies that only the a* and b* color components are calculated and L* is left out). One problem with dE76 is that Lab itself is not ‘perceptually uniform’ as its creators had intended. So different amounts of visual color shift in different color areas of Lab might have the same dE76 number. Conversely, the same amount of color shift might result in different dE76 values. Another issue is that the eye is most sensitive to hue differences, then chroma and finally lightness and dE76 does not take this into account (since Lab does not take this into account). 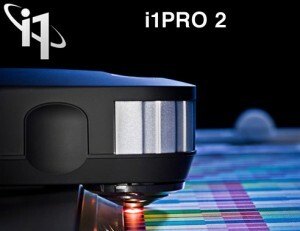 Delta-E 2000 is the latest standard and also what we use at Indy Imaging. The CIE further refined CIE dE2000 by adding 5 corrections. Difference is a number showing how “far apart” two colors are, tolerance is the meaning of the number. Setting a tolerance level (such as <6.0 dE76) defines what you will accept and what you will reject (reproduction tolerance). The available differencing equations will also produce different shaped “tolerance regions”.